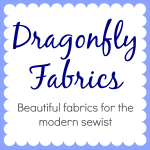 My Quilt Infatuation: July Fabric Deals and a Giveaway! O I think i would buy some vintage market fabrics or some Aurifil,lol! I have few charm packs and holiday bundles that would be the perfect addition to my stash! thanks for the chance!! 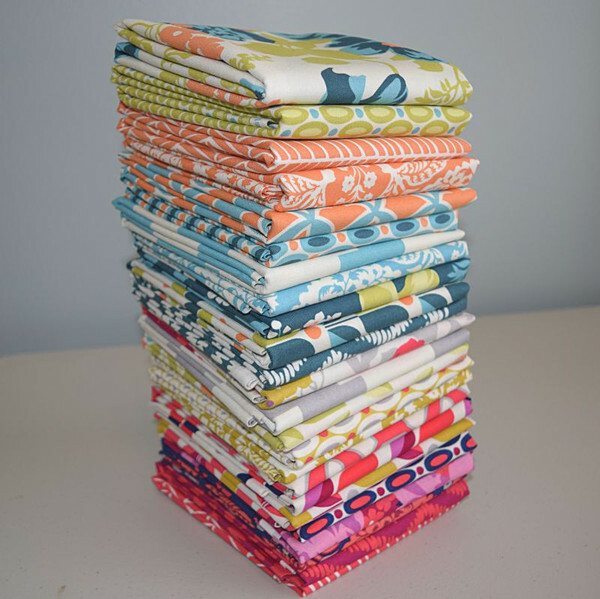 I would treat myself to a FQ stack of Christmas fabric! Thanks for introducing me to Lady Belle fabrics. I would also by precuts because they take the guesswork out of color choices. I would buy some layer cakes. I love working with Me and my sister fabrics. They are such fun. Matsche.christine@yahoo.com. Fabric, of course! I'd probably see if they were going to get any of that amazing Boys Vintage Classic. I love the football print!! I would spend the generous gift certificate on new pins, rotary blades, a new small cutting mat and other little tools that I always want to get but don't! And if there was still something left over-- fabric for backings. I would spend it on fat quarter bundles. I still have trouble coordinating fabrics. Thank you for the giveaway. I would like to get the Firelight Beauty FQ bundle. I would by some 1930/1940 reproduction fabric and attempt an English paper piecing quilt. I think I'd choose some Christmas fabrics for some winter sewing projects if I won. I would buy fabric! Maybe solids. Easy - the Lori Holt Farm Girl Vintage book & fabric. Thanks for the chance! 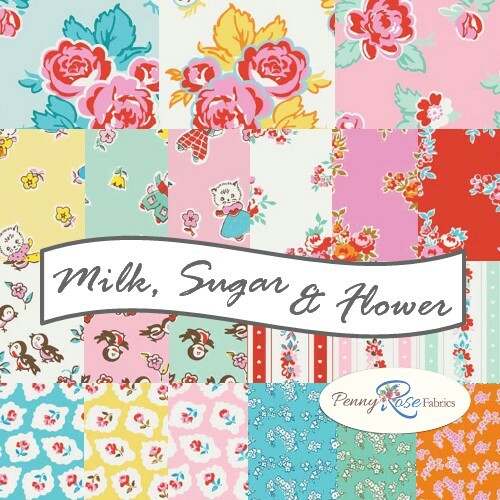 I need to make a baby girl quilt and I think Milk Flower Sugar would be perfect. It would be an easy decision for me. I need more solids in my collection to fuel my growing love of modern quilting designs. Thanks for the opportunity to enter! I would buy a fat quarter bundle to make a lovely Spring Fling quilt. I think I would put it towards a Modern Mini FQ bundle! Thanks! I have never done a pre-order, and would love to reserve some of Angela Walters upcoming line! I just bought a quilt pattern at Crafsy that would work for my son, so I'd browse The Fat Quarter Shop to find the perfect bundle of fabric to make this! I think I would stock up on Aurifil! Thank you! Ohhhh. I would love some solids and probabbly also stock up on aurifil! Thank you and FQS for the great giveaway! I'd buy some Jolly Bars! They are so fun to use. I'd buy Precut Primer! Also probably a layer cake - maybe the new Fig Tree collection. I would put the $50 toward the Viola Quilt Kit, featuring Farmhouse by Fig Tree Quilts fabrics. It is a gorgeous quilt, and I'd love to get a $50 discount on it! Fabrics ,fabrics bundles ,charm packs! I'd get some of the new Cotton and Steel! I would get a fat quarter bundle of the new Bonnie and Camille line coming out in August. Fabric and maybe a drunkard's path ruler. I'm flirting with curved piecing at the moment! I would buy myself a big fat quarter bundle of something yummy! 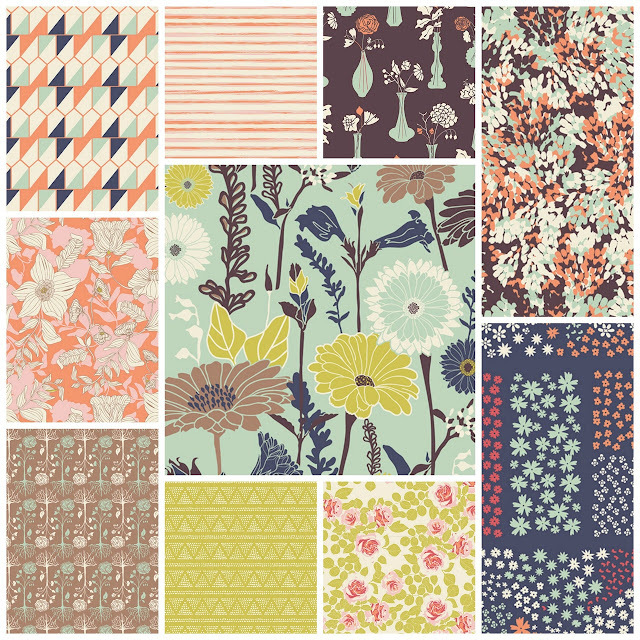 I love the Vintage Market by Riley Blake fat quarters and make something really fun. ccpmcsusmom@att.net just to make sure! I've had my eye on one of their mystery scrap boxes. The gift certificate would really help. ;) Thanks! Thanks for the giveaway! I'd love some Vintage Market and a grab bag! I might invest in one of their quilt alongs or some yardage for quilt backings. Either way, I would spend it!! The FQS rocks with this giveaway! I would buy some backing fabric for the new pink and white quilt I'm working on! So much pretty fabric! If I win, I have a long list of items already saved on my Fat Quarter Shop wishlist. Thanks! thanks for the nice giveaway. I am waiting for a couple of lines coming out soon SOOOO, if I win, I will have no trouble spending! Not sure which fabric I would pick first. I need some neutrals to finish a few projects but they are not as much fun to purchase! Thanks for the chance to win, I would stock up on some solids. 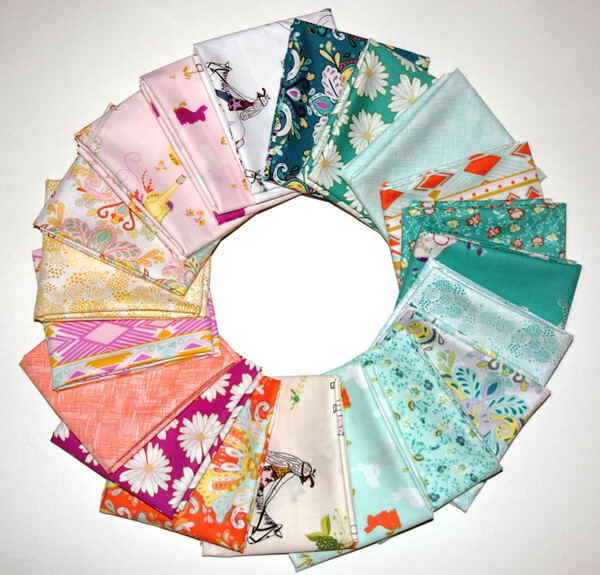 I would look through all the collections and order a fat quarter bundle of my favorite one! If I won, I would have NO problem spending. 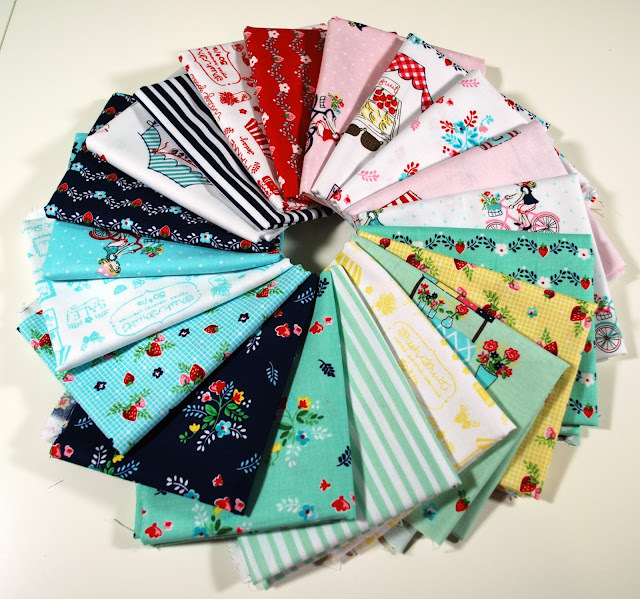 I always have a "cart" started at FQS...I'd pull the plug on Lori Holt's first book before Farmgirl Vintage and I'd probably get a fat quarter bundle of Modern Minis to get my Farmgirl Vintage on! Thanks to you and FQS for a great giveaway! I would spend it on Christmas fabric for my stash. I love Christmas fabric! Thanks! Great giveaway! I would spend it on the new Riley Blake Designs fabric line, Bloom and Bliss that's coming out in August! You have to check it out because every piece is adorable! I'm sure you'll love it! Thanks for the giveaway! Hmm, so hard to choose... I would have to start with one of the Watercolor Bali Pops, I just love the bright colors. Great Giveaway! Thanks for the chance! How would I spend $50? Hmmm... I need to build up my low volume stash, so I'd shop for some of those, plus I want some more in the AG Gossamer collection. $50 will g far, and fast! Thanks for all, Kelly! I would probably buy fabric on my wish list! Love the collections you just showed! I have two engaged nephews so I'm in the process of planning wedding gifts. I have the fabric for the front of one but I need backing so that's probably what I'd buy. Thanks for the chance to win! Fabric! Fabric! Fabric! and I'd take a good long time choosing and would go WAY over budget!! HELLO, I think I'd select some "Vintage market"! Thanks to You+Fat Quarter Shop! I would get this book and those boy fabrics, just too cute. I do have trouble finding boys fabrics for young boys. I have a couple baby quilts to make and I love those cute boy fabrics. Also need some plain colored fabrics in my stash. I'm probably get blenders, moda marbles, moda stars, etc. I really like the tone-on-tone fabrics for my projects! Thanks for the chance to win! I am planning on making quilts for my kids for Christmas so I would use a gift certificate to help purchase the fabrics to complete them. I'd get some of that charming Vintage Market fabric! Zen Chic for Moda Fabrics. It is supposed to arrive in August and it looks awesome! Fabric, fabric, fabric! In bright prints for a kids' storybook quilt. I'd buy fabric of course- one can never have too much, can they? Thanks for the chance! I would buy a fat quarter bundle. I have so many favourites. Thank you for the generous giveaway. I would have to get a fat quarter bundle for sure! Thanks for the chance. I love the Milk, Sugar, and Flower collection. However, if I won, It would take me a while to decide for sure. Thanks for the chance to win. Fabric would end up in my shopping cart with that gc. Thanks for the chance to enter. 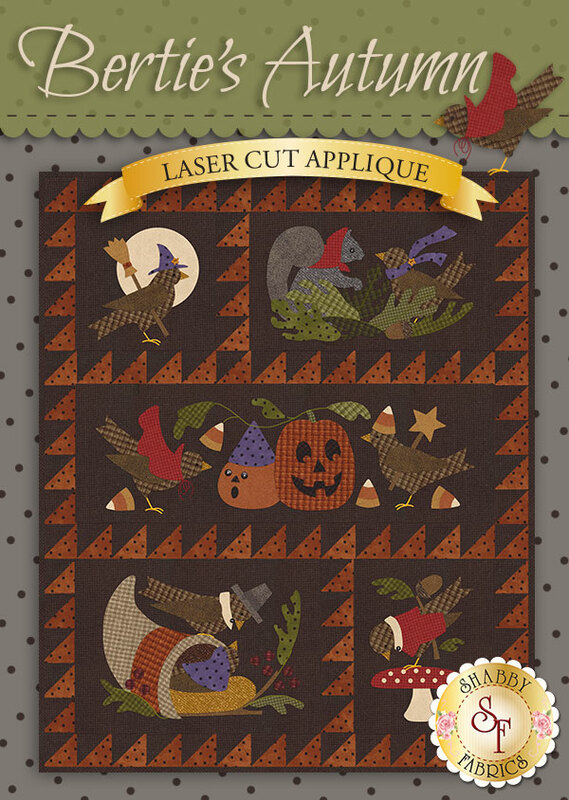 I would buy some fabric that would be good for fussy cutting hexies. Thanks for the chance to win. Wow! How generous! I would love to get some 30's prints. I would love to get some thread. I have a very limited supply right now. 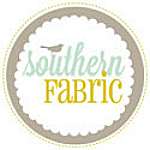 Thank you for the giveaway - I love the FQS - I would love to get some holiday fabric! There is a new Darlene Zimmerman 30s repro line coming out that I love. I would use it to buy a FQ bundle or layer cake in it. I would get a fat quarter bundle to add to my stash. I would spend it on some of the fun Christmas fat quarter bundles. What a great giveaway! I would love to stock up on some nice Christmas fabric! I would buy the book and some of their fabrics to make of the quilts. I have a serious itch to buy new fabric. I only have a few fat quarters to my name and would love to add more to continue with my long list of projects in mind. Thank you for hosting another great giveaway! FQS has so much to choose from but I would love to buy some of Darlene Zimmerman's new 30's line. Haven't made up my mind on which bundle I would choose, but a fat quarter bundle would be my choice. Ohhh I would love some Vintage Market!!! 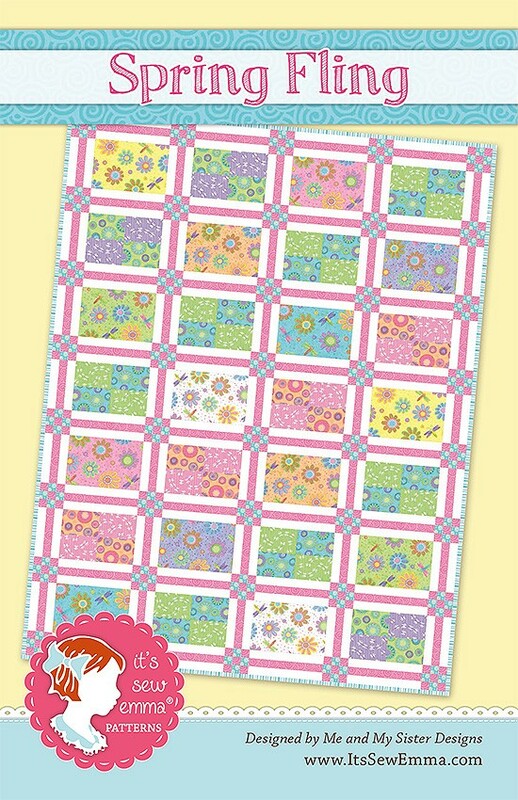 I'm pretty obsessed with Tula Pink fabrics right now - they'd be the firs thing I'd pop in my basket! The milk,sugar,and flower collection is adorable. I would buy some of that and thread. Thank you so much! Oh my goodness - I love every single fabric line that you showcased! 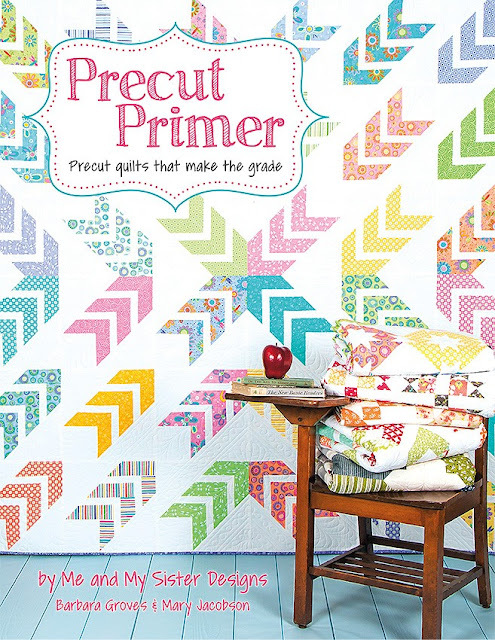 I would definitely spend my money on Me and My Sister Designs' Precut Primer book. 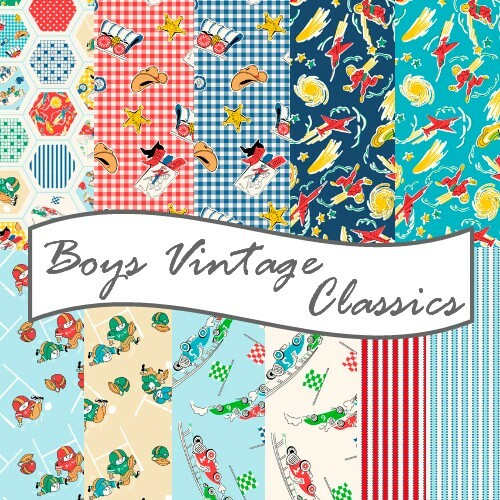 And probably also indulge in some fabric (probably Boys Vintage Classics!). I've been eyeing all the Christmas lines lately. I need to make a stocking for my new son! I would love some of the new Cotton & Steel fabrics! I would buy some soft fabrics for baby blankets for my little fella who will be born in Sept. Thanks so much. I'd like to try some of the new books. I might get a charms pack also. I would splurge on some 108" quilt back material. Thank you for the giveaway! I would like to build up my winter-themed fabric for a nice warm quilt. If I won, I would load up on some Aurifil thread…you can never have enough of that wonderful thread!!! I'm not sure which one, but I'd buy a batik layer cake. I love my batiks, thanks for the giveaway! I've been flirting with stashing the Fresh Cut line by Basic Grey. If I win, I'll take the leap! I would loot the clearance section. I would let my daughter pick some charm packs. She's been wanting to learn to make a quilt and wants to use charm packs. Thanks for the opportunity to win! I would get 5 yards of Hoffman Denim batik Wisteria for the backing of a quilt I am making. Thanks for the awesome giveaway! I would love to win and spend it on thread to add to my stash. I'd like to start a Cotton and Steel Collection! I would have so much fun figuring out what to use it for! 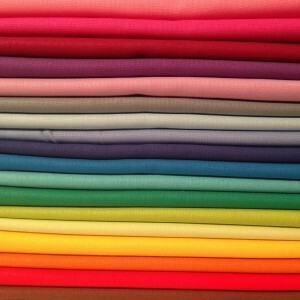 I would love to spend the money on buying some fabulous solids for a rainbow quilt. Okay, this may sound boring, but I would spend the money on basic solids. I need to restock. OMG - that pattern on the front cover of the Precut Primer has me sold. If I won, I'd order that book. I'd probably use it to add some Northcott to my stash! Thanks for the chance to win! I would get a couple jelly rolls to make a wall quilt with. I think I'd hold out for some pie making day fabric! If I win the gift certificate, I think I'll spend it on their new Aurifil collections, maybe some Aurifloss in the Tart color way! It's Sunday evening, and I hope you haven't drawn a name yet. I'd love to be included. I'd spend the gift certificate on some Kona background fabric....either ivory or white.